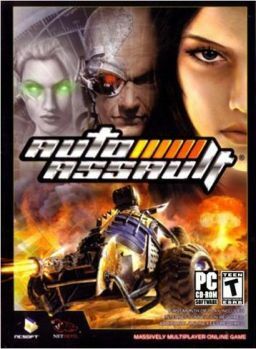 Auto Assault was a massively multiplayer online game (or MMOG), developed by NetDevil and published by NCsoft. It combined vehicular combat with role-playing elements, allowing the player to explore a post-apocalyptic future in customizable cars, motorcycles, semis, and tanks. It took inspiration, in part, from the Mad Max series of films. Players could choose to play as one of three fictional factions—Humans, Mutants, and Biomeks—as well as a class to determine the type of character they would play. The majority of the gameplay took place in a vehicle, but the player could leave the vehicle when entering towns in order to purchase items, talk to contacts, etc. The game servers were shut down on August 31, 2007, and players were no longer billed. NetDevil issued a statement shortly after the shutdown news, citing an agreement with NCsoft to buy out the IP rights was not reached.